Last month I was scrolling through Instagram as you do and I spotted this look on Emma Stone by her makeup artist Rachel Goodwin. 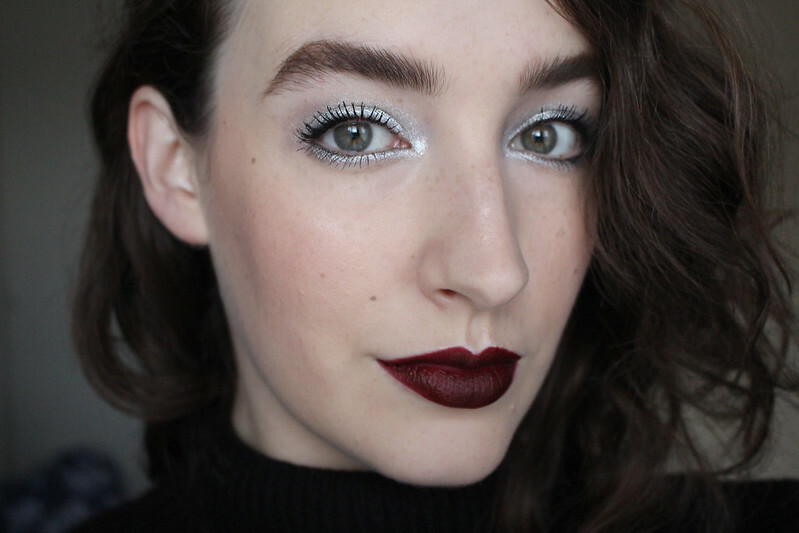 I completely fell for the colour combination of the cool silver eyes and deep berry lips. The look Rachel created was a proper glamorous red carpet look but I wanted to tone it down a notch for myself. She used a Serge Lutens eyeshadow palette that costs €130, but the eyeshadow I used was only €3.80. 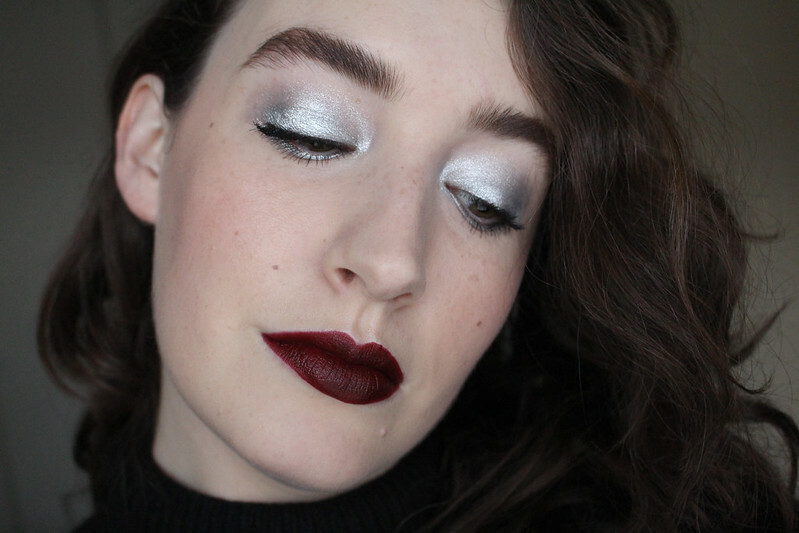 Surprisingly I didn't have any silver in my eyeshadow collection and seeing as it's not a shade I'll be wearing regularly, I didn't want to spend too much money on it. I decided to check out the offering in Penneys as I had a voucher from a recent press event. I didn't expect to find anything but as it turns out they had four different options. 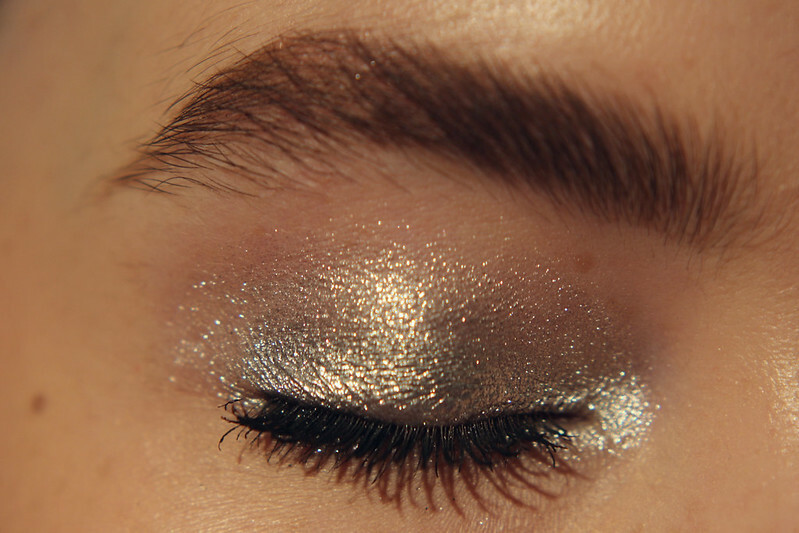 I opted for a Catrice eyeshadow which swatched nicely but ended up not being great on my eyelids, and this Essence Melted Chrome eyeshadow in the shade Steel the Look. The whole idea is that they have a melted metal effect. There are six shades altogether, I can't say how the others are but Steel the Look is highly pigmented and has a soft, buttery texture. I was so impressed considering how inexpensive it was. I wanted a very easy, pared back look so I applied a tiny bit of the Pür On Point eyeliner in black just lightly along my top and bottom lash line just to make it look more full. I applied Urban Decay Primer Potion and then the eyeshadow with a flat brush to give as much colour payoff as possible. I then decided to try it wet to see if it intensified the colour so I spritzed some of my Lancôme Fix It Forget It Setting Spray onto my brush and it amped up the metallic look of the eyeshadow some more, it doesn't work with every eyeshadow and I often forget to do it but when it works well it can make such a difference. I also went a bit more into my inner corner than I usually would as well as along my lower lash line. The eyeshadow is such a statement by itself so all I did was blend it out and add the IT Cosmetics Superhero mascara. I've been using this mascara for a few months now and it packs a lot of punch. I loved it at first, then it started to smudge on me after a couple of weeks and now it's stopped and I love it again so I'm not sure what the problem was. You can get a lot of impact from just one coat which I really like, two coats will give you proper going out eyelashes. It's the mascara I go for when I want big eyelashes in a hurry. One of my all time favourite base products, the IT Cosmetics CC Cream has recently come back into my life (as a press sample) and I had forgotten how amazing it is. If you want to know more, you can read my full review here. 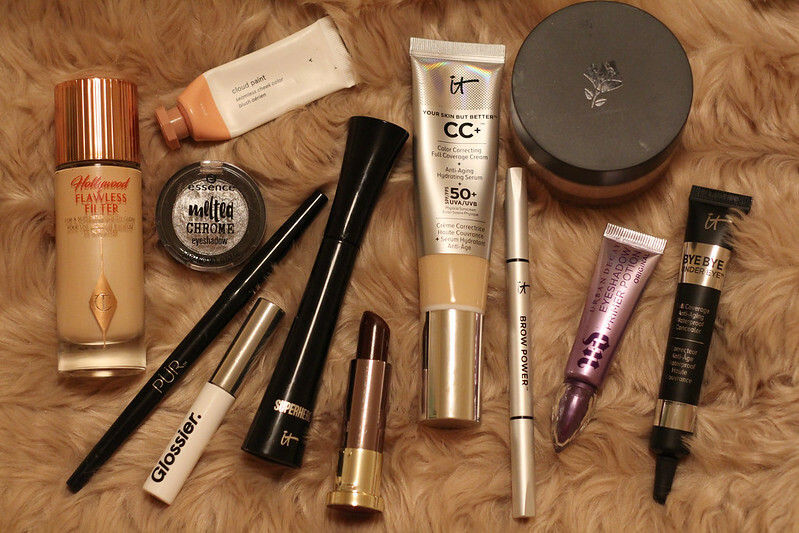 I used the IT Cosmetics Bye Bye Under Eye Anti-Aging Waterproof Concealer for a few weeks now and I didn't think I'd like it at all at first but after playing with it a few different ways I'm a big fan. It's quite similar to the Lancôme Teint Idole Ultra Wear Camouflage Concealer in that it has a sticky texture. I find it best when you use a tiny amount and dampen a small complexion sponge and dab it onto your skin. It also stays in place all day. The less you use the better, you can always build it up if you need more. I kept my eyebrows fairly natural with just a small amount of the IT Cosmetics Brow Power Universal Eyebrow Pencil and some Glossier Boy Brow. I've really been loving using the IT Cosmetics pencil. It's great for when I want to fill in my eyebrows quickly. It's universal shade however one of my fellow Irish bloggers has black brows and she said it's slightly too warm toned for her so I'd definitely try it out first if you're looking to buy it. I finished with a touch of Glossier Cloud Paint in Dusk to give just a hint of colour on my cheeks, I didn't want anything too strong to take away from the eyes and lips. The closest lip shade I could find to the one Rachel Goodwin used (Surratt Beauty Lip Lustre in Très Chic) was Urban Decay Vice Lipstick in Disturbed. 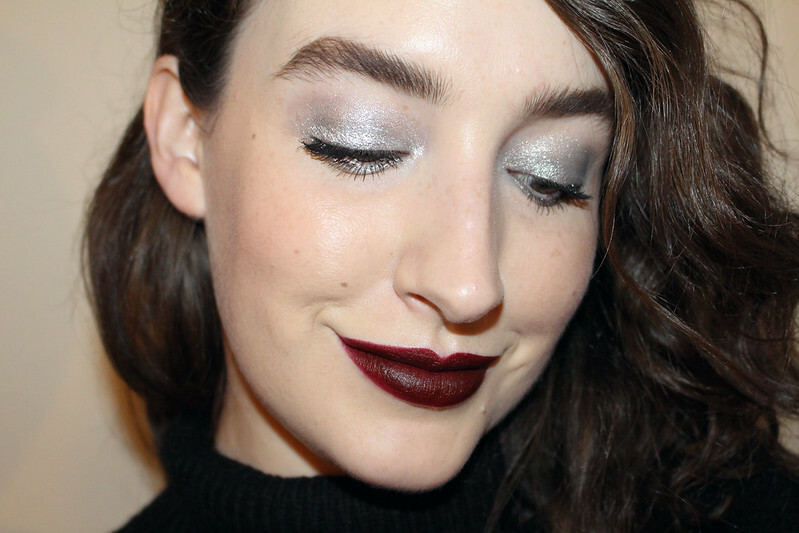 It's one of their comfort mattes and I toyed with the idea of adding gloss as the Surratt Beauty shade has a high gloss finish but I preferred the look of the matte lipstick paired with the glittery eyeshadow on myself. I finished the look by adding a little bit of Charlotte Tilbury Hollywood Flawless Filter to my cheekbones, the middle of my nose and cupids bow. I bought this back in September and I really didn't want to love it as much as I do. It's like no product I've ever tried before. I'd describe it as a multi-purpose liquid illuminator. You can use it under or over your base as a liquid highlighter, or you can mix it into your foundation for an all over glow. 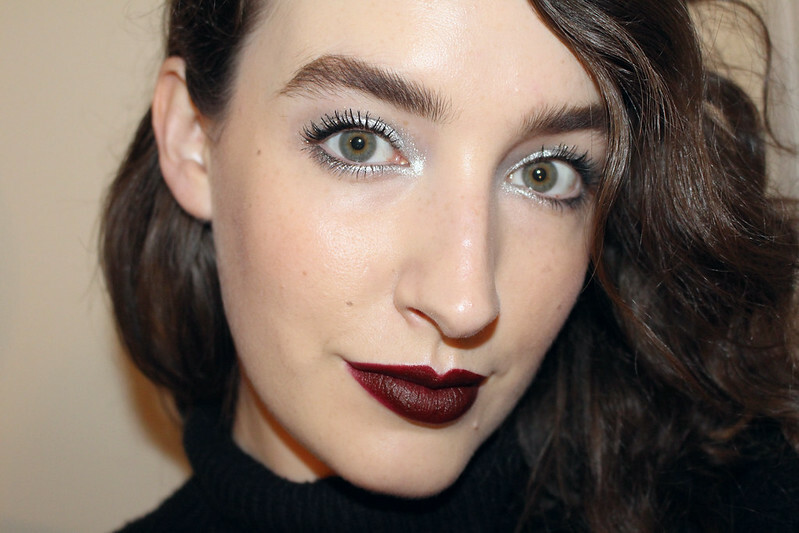 I've also been mixing mine with my Glossier Cloud Paints and it gives the most gorgeous sheen on my cheeks. This is definitely going to be repurchased once it's finished. As you can see I took photos in daylight, in artificial light and with a flash to try to capture just how gorgeous this eyeshadow is in reality. I don't think any of the photos do it justice, so if you're near an Essence stand, I'd encourage you to have a look at it in person. 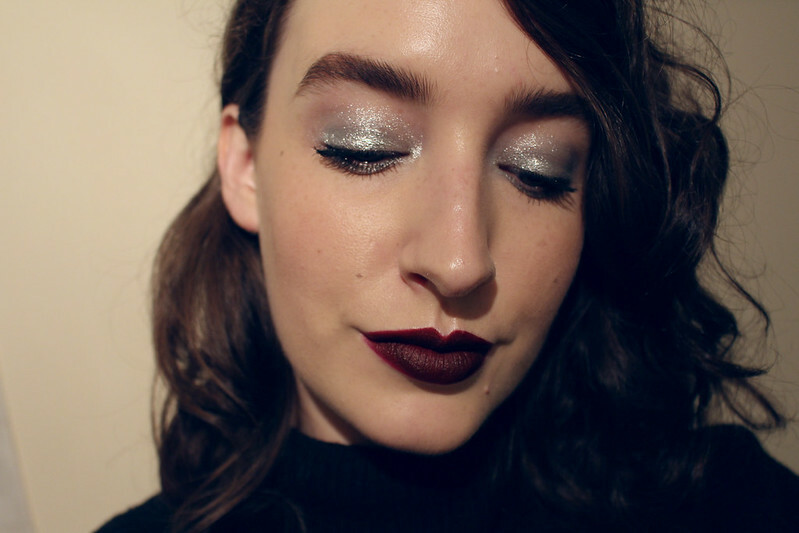 I took a little video which you can see below in the hopes that you can get a better idea of how sparkly it is. Obviously there's no great intricate technique to this look, its fairly easy to achieve but I think you'll agree it's such a statement. I was initially a bit wary of wearing it out of the house but I quickly reminded myself that it's only makeup and it's supposed to be a bit of fun. 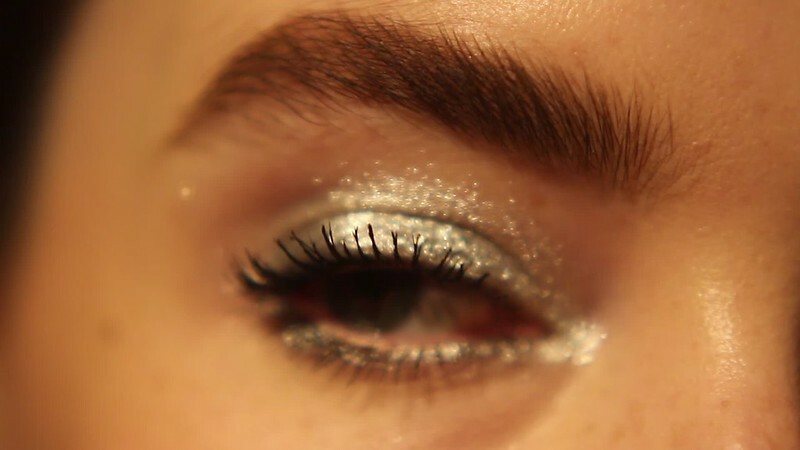 Take a look at the recent video Violette (the Creative Director for Estée Lauder) made using silver pigment, it should give you another option of how to wear silver on your eyes. I think it would be great for a Christmas/ New Year party.